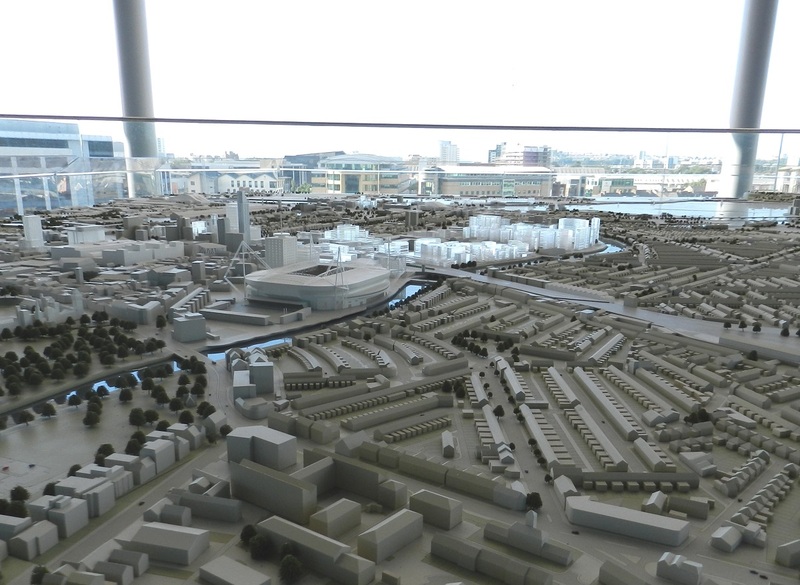 Our Latest Projects | Modelmakers | Our Cardiff City model reaches new heights! Roof terrace presentation for our 6.5m x 5.5m city model. Four years ago when we built this giant masterplan model as the centrepiece for a Cardiff marketing suite, little did we know that it would become one of the most “travelled” models we’ve ever produced. We’ve set it up at numerous different local events, three locations in London and even a major property show in Cannes. This latest outing was for an important presentation on a roof top terrace of the new BBC headquarters in Cardiff city centre. The building was actually still under construction so we had to negotiate our way past all the different trades working on site when we brought the model in. Luckily for us, the weather was good, as you can see from the pics, and no seagulls came in to land on our scaled down version of Cardiff Bay. The model is now back in its usual location until the next time it has to go on its travels. We don’t know where that will be but wherever it is, we do know the sky’s the limit for our Cardiff City model! Our Cardiff City model attends London Marathon!